She squeals with joy as she frolics through shimmering emerald the blades blowing gently in the summer breeze. Her tiny hands pluck and gather, excitedly creating a fragrant bouquet of sunshine for mommy. She beams. They both do. A vacant lot overgrown with dandelions and clover: Weeds! That's what the world sees. But the gifts of nature are never lost to innocent eyes of a child. Sweet small slice. I am with you. 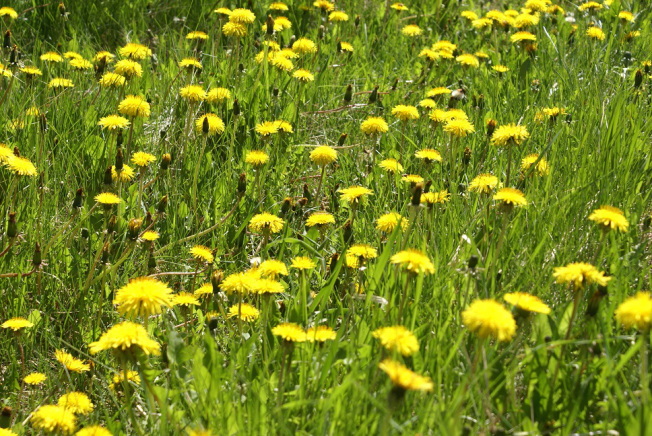 Even though dandelions are called weed it is valuable to look at them with child's eyes, and see beyond their label.